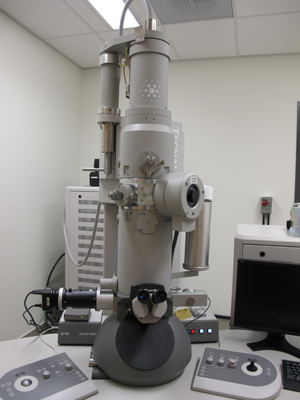 The LSI Transmission Electron Microscopy (TEM) facility is the home to the TEM and ultramicrotome purchased from the CFI grant received by Drs. Robert Molday, Wayne Vogl, Nelly Pante and Calvin Yip. The TEM has a high level of automation and is suitable for applications like 3D-imaging using tomography and/or cryo-electron microscopy. Please take the time to read over the following TEM policies. 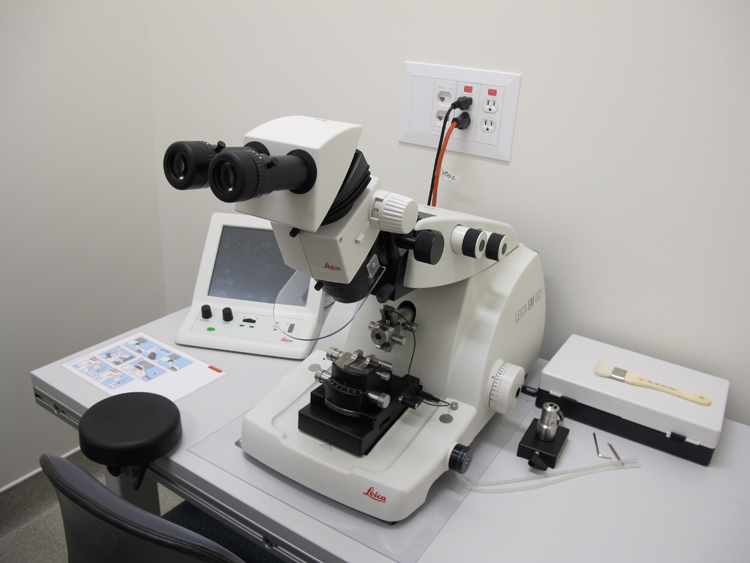 The LSI FEI Tecnai G2 Spirit ensures high-quality images, is easy to use and is designed to facilitate the work of the microscope user. It has a high level of automation, yet doesn’t limit full control for experienced, expert users. 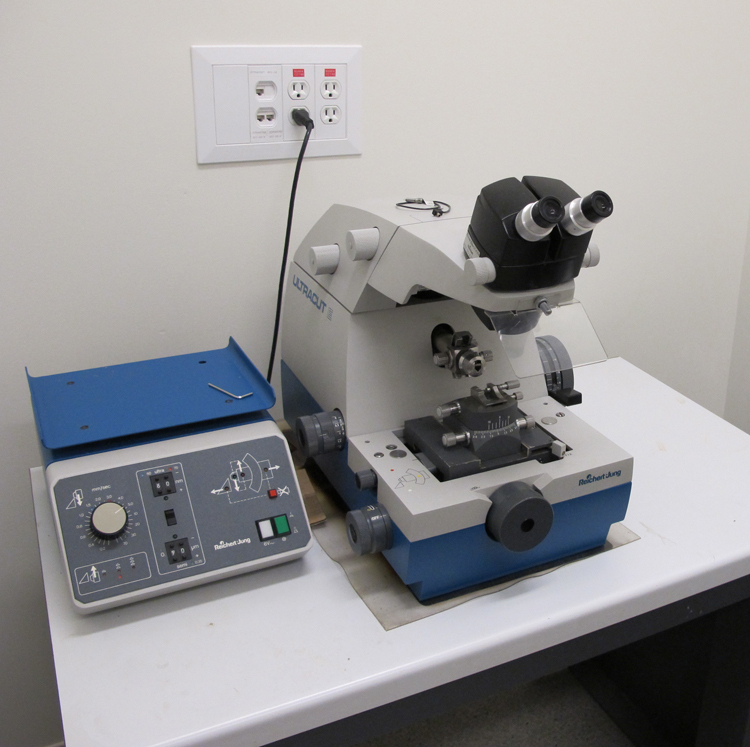 The microscope is ready for novel applications like 3D-imaging using tomography and/or cryo-electron microscopy. High contrast, high resolution for 20 –120 kV operation. Optimized for 2D & 3D imaging of cells, cell organelles and soft matter. High level of automation: Auto-Gun and automatic tuning. Smart Tracking Position System for sample navigation. Customized protocols for diverse applications. Sample observation at liquid nitrogen temperature. Technology for sharp imaging of thicker samples. Ergonomic design for operational comfort. Ultramicrotome for ultra-thin sectioning of biological and industrial samples. Up to 100 different user/specimen/knife profiles can be set. Electronic data transfer for reporting user, specimen, knife and storage parameters. Micro specimen thickness range 0 to 0.5 microns. Ultra specimen thickness range 0 to 0.14 microns. Motorized cutting stroke with adjustable speed 0.1 to 90 mm/sec. Sectioning window adjustable 0.5 to 22mm. Manual sectioning possible with built in handwheel.